Today’s electronic equipment – especially those in critical applications like healthcare, aerospace, and mass transit – require clean, consistent power for optimal performance. Even the slightest, millisecond disruption in power quality can jeopardize sensitive equipment, or lives. Our continuum of solutions includes power conditioning and distribution units (PCDUs) that offer integrated conditioning, distribution, and monitoring of power to protect equipment and maximize uptime. 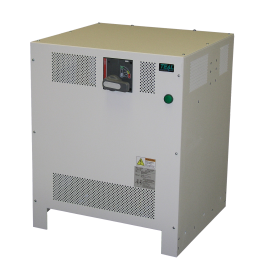 Power conditioning protects equipment from lock-ups, false readings, or damage by mitigating disturbances in power including voltage spikes, surges, sags, EMI, transients, and high-frequency noise. Power conversion and distribution allows source power to be converted and distributed by a low-impedance isolation transformer within the PDU to meet the varied power needs of equipment in your facility. Power monitoring adds another level of confidence that equipment is getting clean, stable power by measuring and communicating data on voltage, current, transients, and harmonics. Setpoints and alerts can be added to automate responses to harmful power situations.